There could be many reasons why a horse lacks energy. Horses with low glucose levels usually show signs of fatigue and reduced performance, which is not a great sign especially for competition horses. Your horse could also be suffering from a lack of energy if it’s in a negative energy balance. In simple terms this means that over a period of time your horse is using up more energy than its getting back from the diet. This could be due to simply not feeding sufficient energy. It could also be due to the fact that in theory you are providing the horse with enough energy but your horse is not actually getting that energy; for example due to intestinal parasites or to reduced digestive function. For the latter, Gut Balancer would be a solution to maintain normal function of the gut. 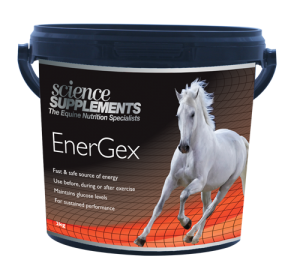 A great way to boost their energy levels in a safe and sustainable way is to provide them with a horse energy supplement. 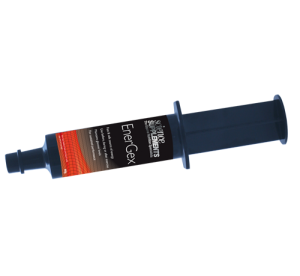 Energex, which is best to mix in with their food, or Energex paste which can be simply given orally as a paste, can be used before during or after exercise, providing results quickly and safely. However, if a horse becomes more and more lethargic as the season wears on then we might have to consider electrolyte deficiency. Many riders fail to feed sufficient electrolytes to horses in work and over several months deficiencies and imbalances can occur. Typically adding in a balanced electrolyte supplement such as Complete Electrolytes will start to show results within a few weeks. We strongly recommend that if you are uncertain about any aspect of your horse or ponies nutrition, diet, health or wellbeing then you call the Nutrition Advice Line on 0345 5046940. Click on the products below for detailed information and feeding guides.